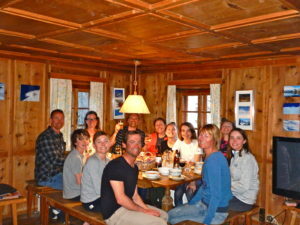 Chalet Rafalt Chalet Rafalt - A cozy ski chalet in St. Anton, proudly hosted by Ross and Maaike and their 15 years + experience in The Arlberg. 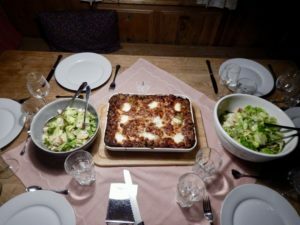 The blog posts have suffered this season due to the insane amounts of snowfall we have been blessed to receive this winter in the Arlberg. In the 20 years I have skied here, this is the most consistently amazing skiing I have experienced. 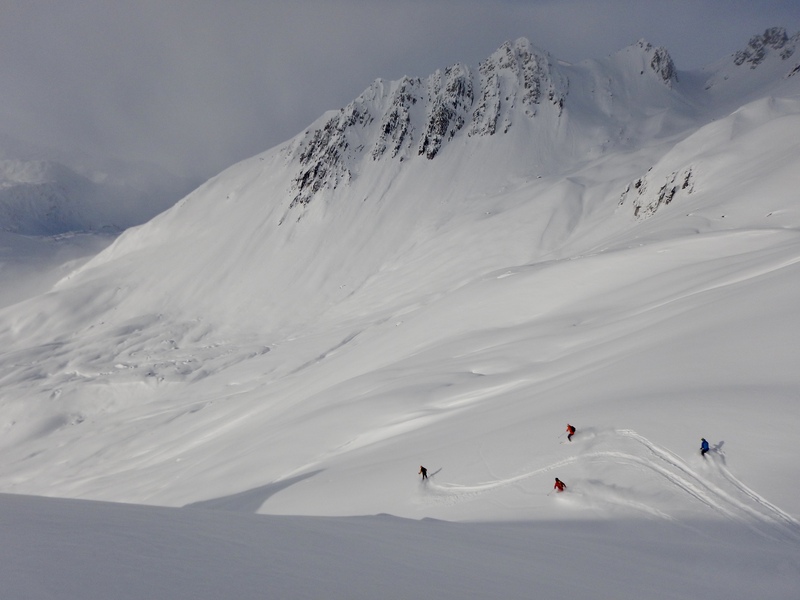 We had a break of blue skies and warm weather the second half of February, but baring that, have skied deep powder almost daily since early December. Guests have been fortunate to capitalize on the amazing conditions!! In addition to the skiing, groups from Australia, the UK, The Netherlands various Canadian cities including Banff, Calgary, Toronto and Montreal have taken advantage of some very fun nights at Krazy Kanguruh, Mooserwirt, the Museum, Piccadilly, Happy Valley, Rodel Alm, and The Hospiz Alm amongst other great spots. 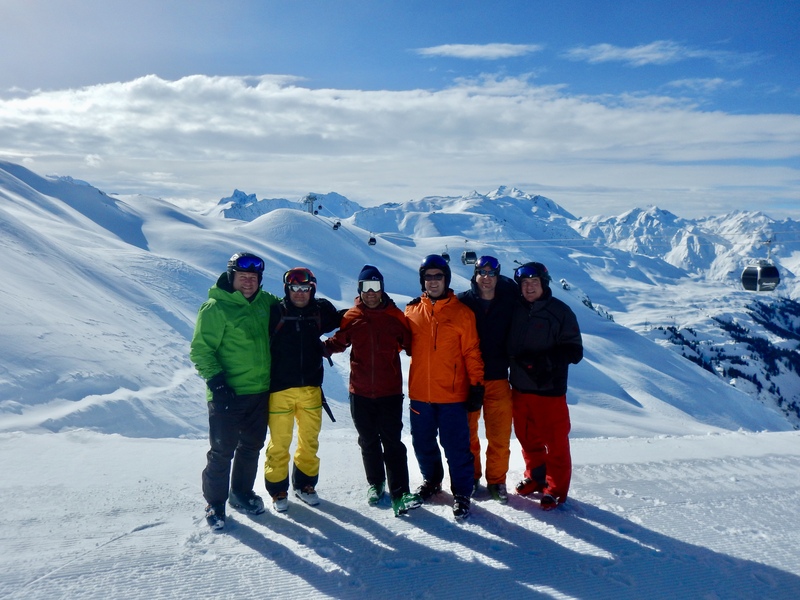 Some real highlights have been had during apres ski at Balm Alp in Lech, soaking up the incredible view from mountain top and the awesome music. 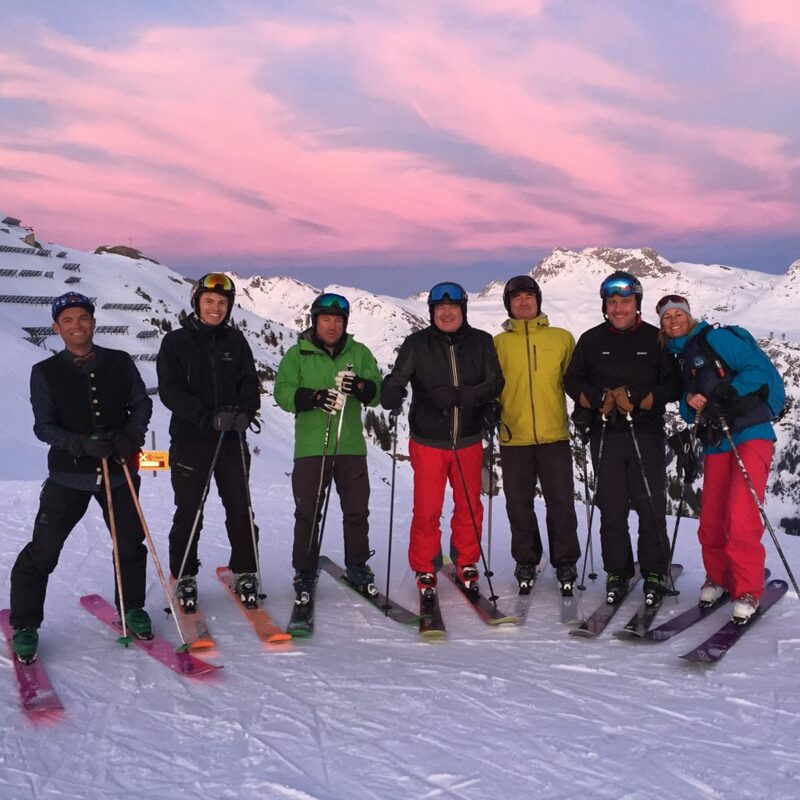 The ski down under pink skies has been truly memorable. 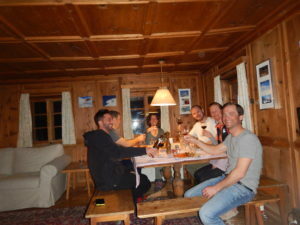 Time around the chalet enjoying Maaike’s cooking and apres dinner in the kitchen have also provided so many good times. 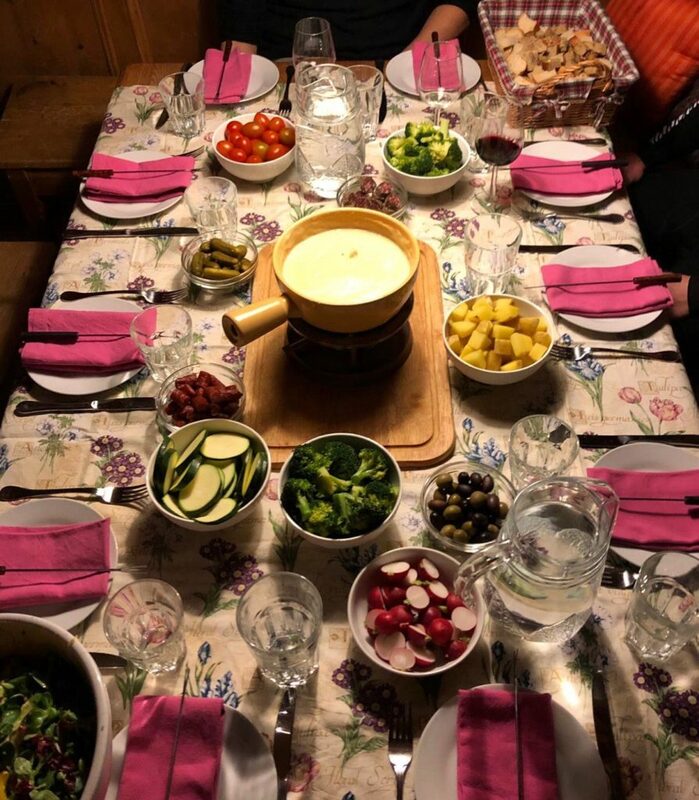 We are so thankful to those of you who have stayed at Chalet Rafalt this season, and we look forward to the rest of you on your way! Finn P takes a turn on the other side of the camera. On the way down from Balm Alp on my birthday! A visit from my brother Neil and his crew. Today, March 14th – The insanity continues! 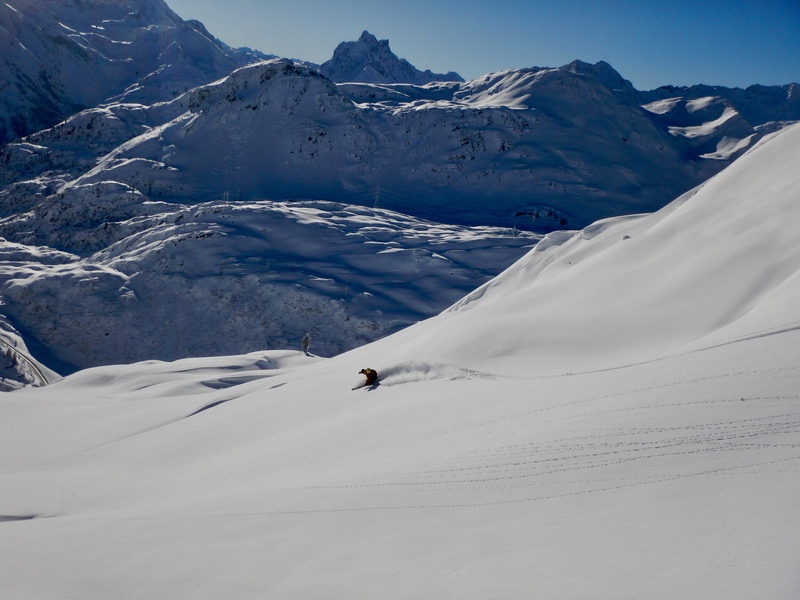 January has brought metres of snow to St. Anton and an incredible run of skiing. 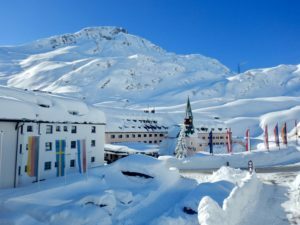 For the second straight January, avalanche forecasters raised the hazard to level 5 or extreme and the roads and trains were once again closed into the town. It is always exciting to watch mother nature show us who is really the boss! 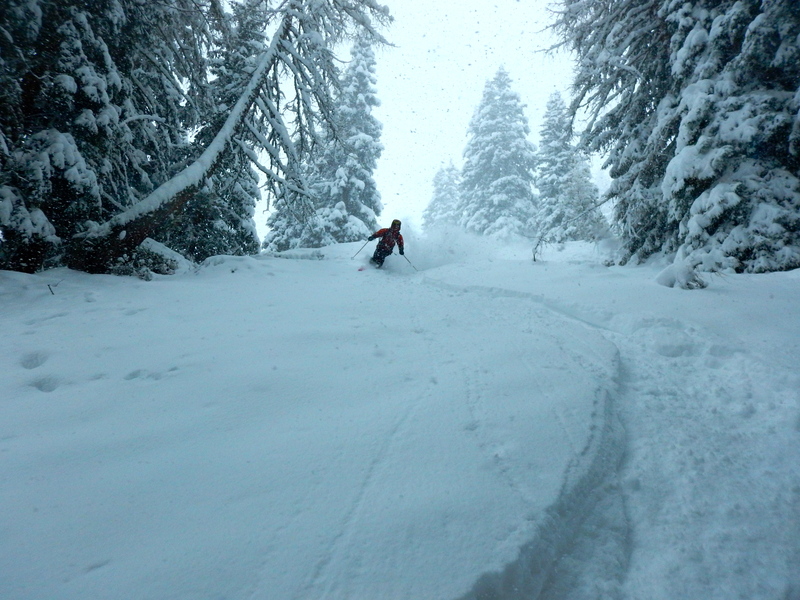 The lower mountain lifts remained open and the tree skiing was epic. The sun has come out during the last 10 days and the avalanche forecast has dropped all the way to level 1, or low in the alpine and all sorts of skiing have been fabulous. 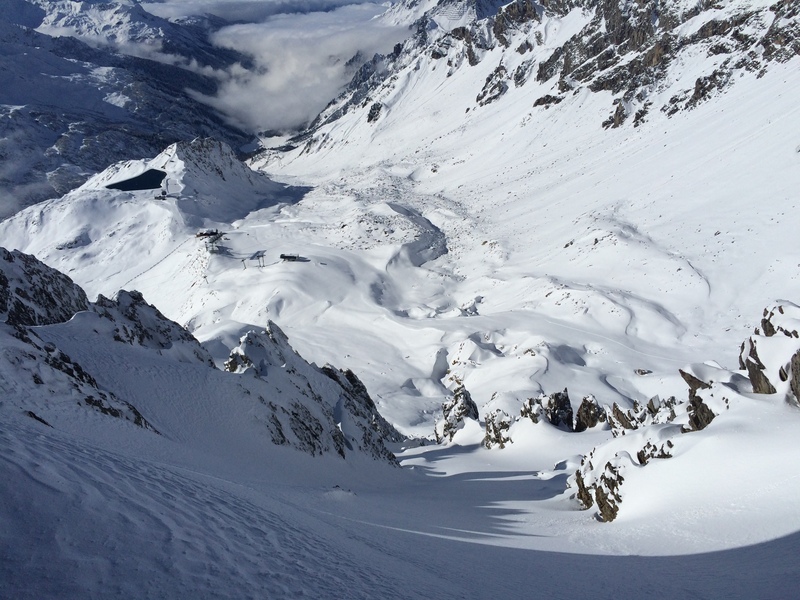 Pistes with no ice, cold powder snow for ski tours and vistas for miles! 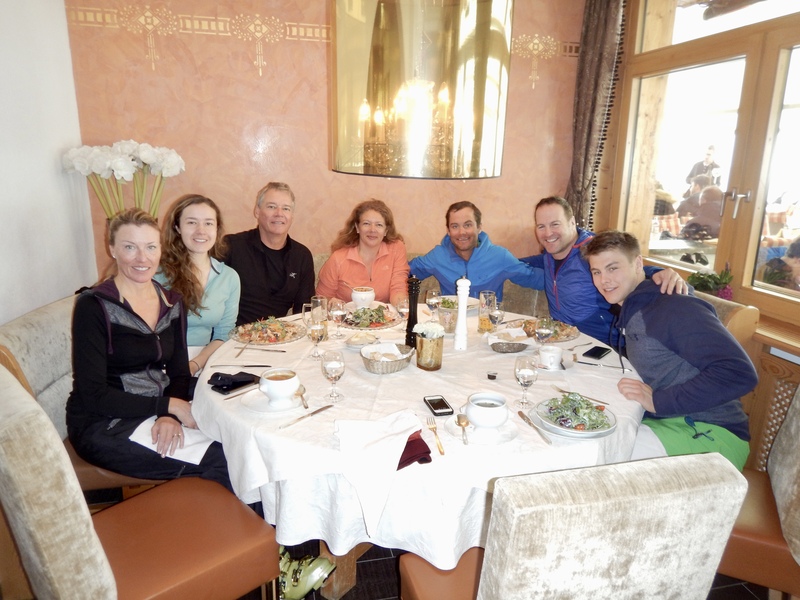 There are a lot of smiling faces on the mountain!! Chalet Rafalt still has the final week of March available! Maaike enjoying an incredible run of deep powder skiing to being 2019. 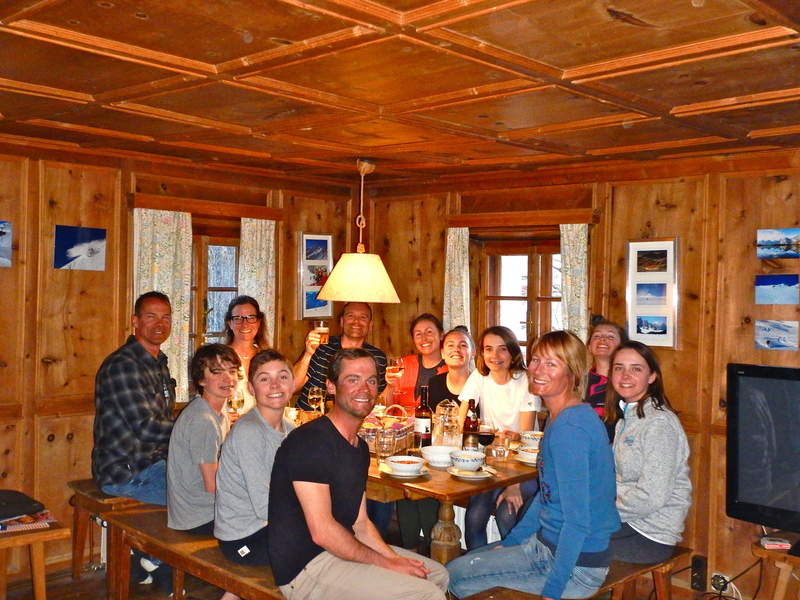 March has come and gone and brought with it a chalet full of awesome guests from Canada and Belgium. Although there weren’t any massive dumps like in January and February there were consistent snowfalls that kept the off-piste skiing in great shape. 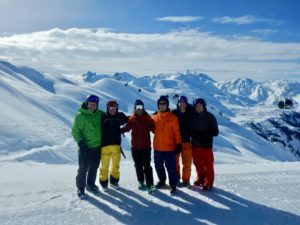 We had some killer days in Sonnenkopf skiing the north facing runs and a very special run with a load of old friends including Eric, Olivia, Ben and Do off the back side down to Langen. Even in late March, the temperatures stayed cold and we skied down through the Langen forest in great conditions. We were also fortunate to have a visit from Mike Kaumeyer, Deb and Louis along with their friends and were able to toast Gerry, my third grandfather, numerous times. Bob Sutton and the boys! 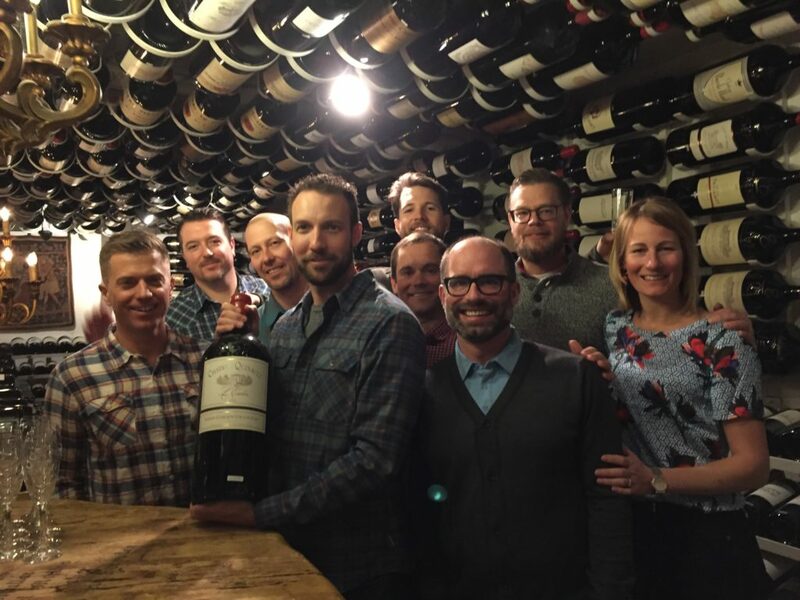 A very special visit from Mike Kaumeyer, family and friends. 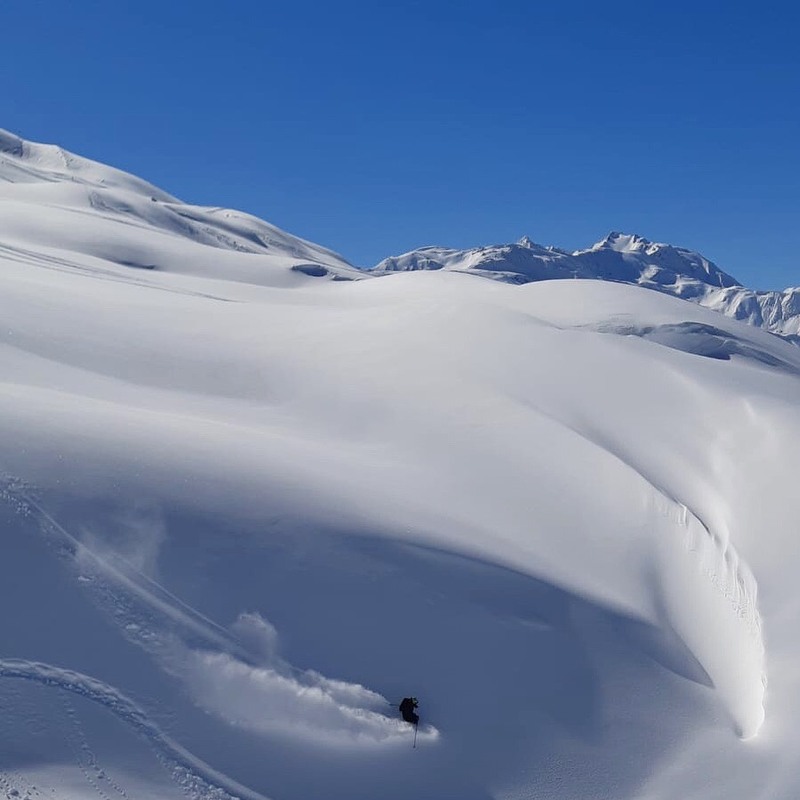 After some major dumps in January that brought the base at Galzig over 4 metres, February has brought smaller snowfalls allowing most of the immense area to open for the month. 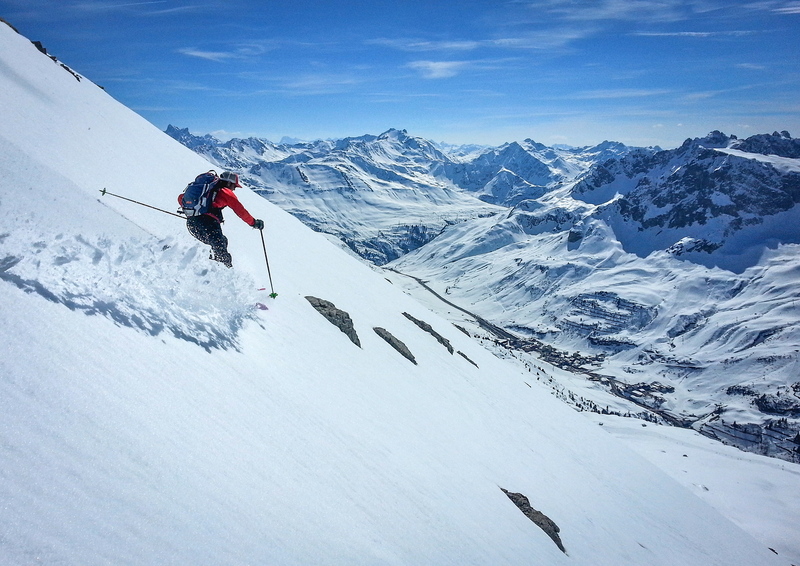 There have been some great days of lift access skiing and stable snow for ski tours. 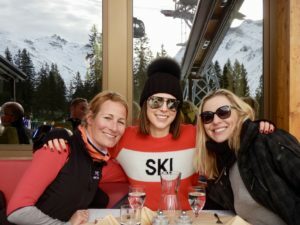 The resort has reached peak season and the apres skis and nightlife are being fully enjoyed by people from all over the world creating a wonderful atmosphere in town. 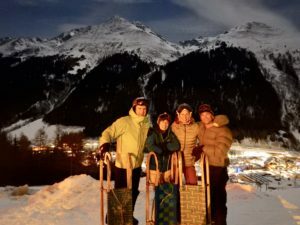 We have had a lot of Canadians in the chalet and they have been taking full advantage of all the corners of fun available in this ring! 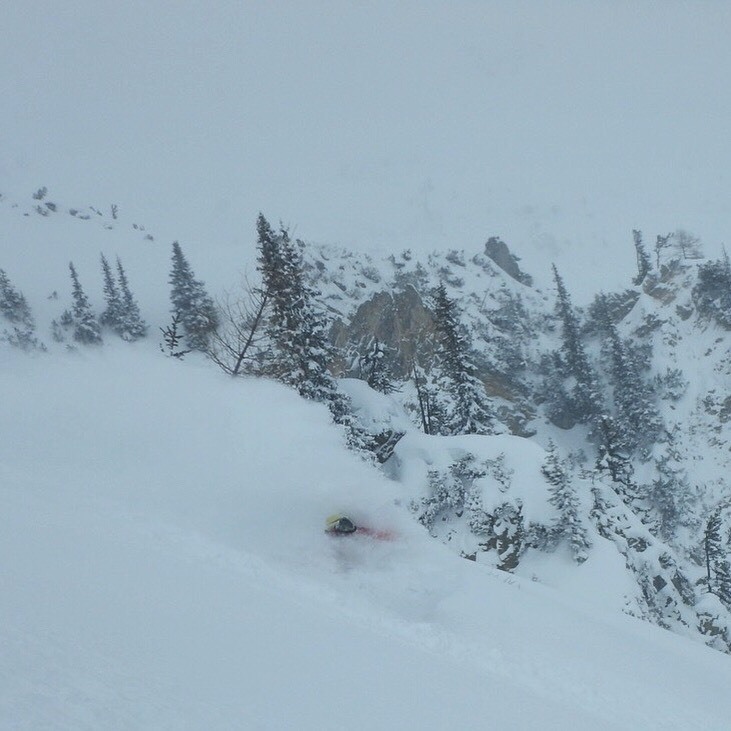 Sherpas cinema director Eric Crosland enjoying some powder. 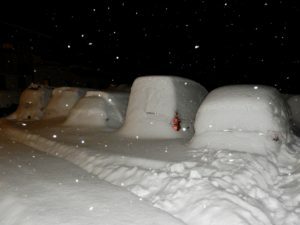 The snow keeps piling up! 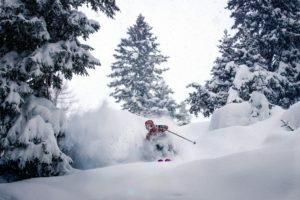 Regular snowfalls that started at the beginning of November keep piling up in St. Anton. I have only seen this much snow in the Arlberg in ’99 and ’13 which were very large winters. 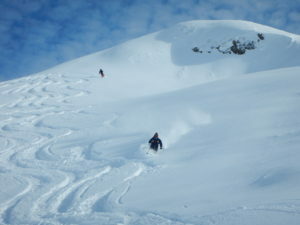 The skiing has been fantastic for the most part for days of each week for our guests. Most recently, mother nature delivered one of the biggest storm cycles I have witnessed dropping 200+cm at mid mountain in 7 days. 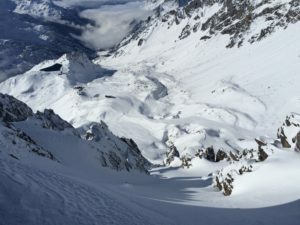 This prompted the Avalanche commission to close the roads in all directions, shut the train station and issue a danger level of 5 for the first time since ’99. Things are calming down now, and the sun is back out showing off the abundant base which now sits at 425cm at Galzig. We have loads of snow and still the week of March 11-18 available so please make your reservation today! Another day of DEEP POWDER! 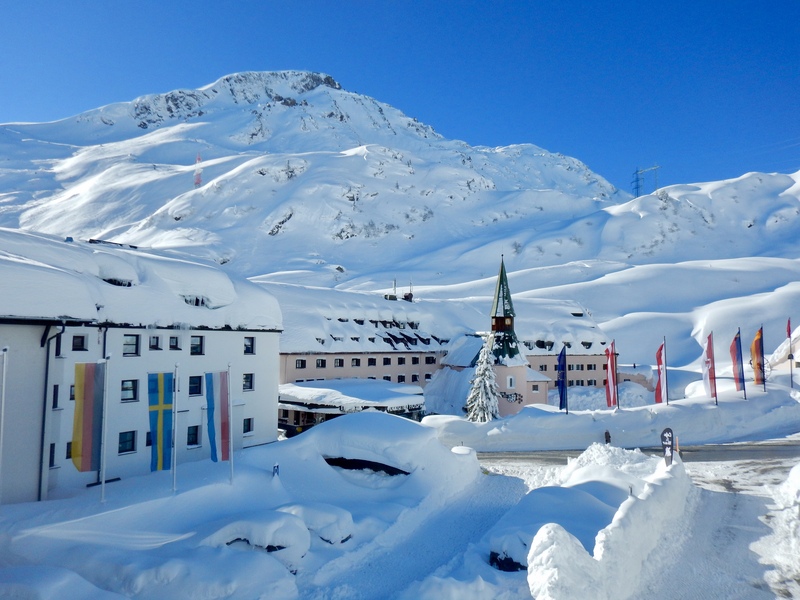 St. Christoph finally seeing some sun. 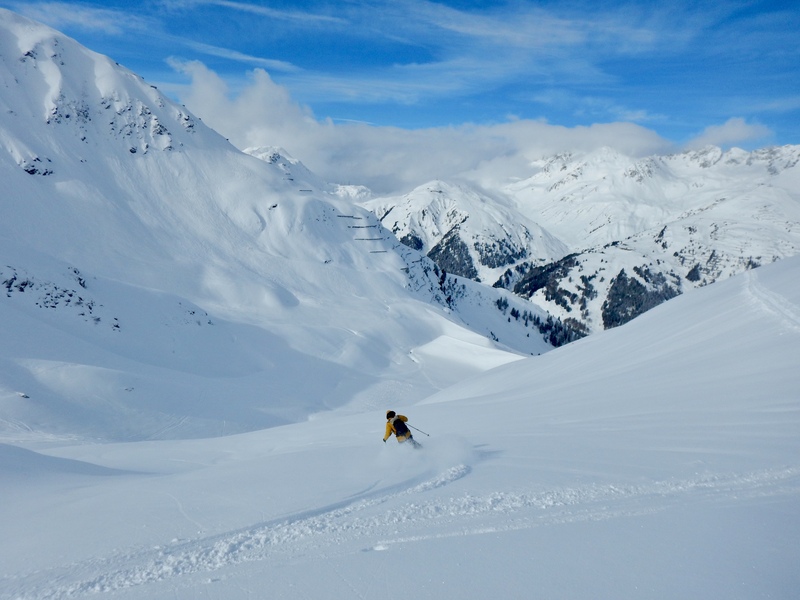 It is December 11th and the Arlberg is riding a streak of 11 powders days since opening on the 1st. 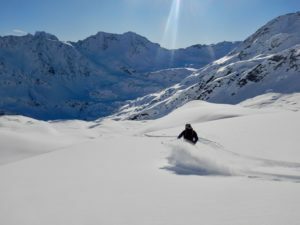 Regular snowfalls, very cold temperatures and a lot of sunshine has made the perfect recipe for incredible skiing to begin the 2017/18 season. 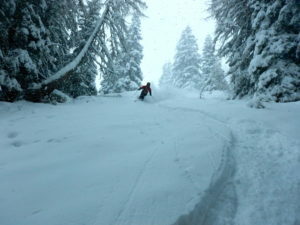 Coverage is extensive for this time of year with a base of 240cm at mountain top already! It is slightly warmer today, but the temperature is set to drop again with a bunch of more snow in the forecast. WOO HOOOO!!!! 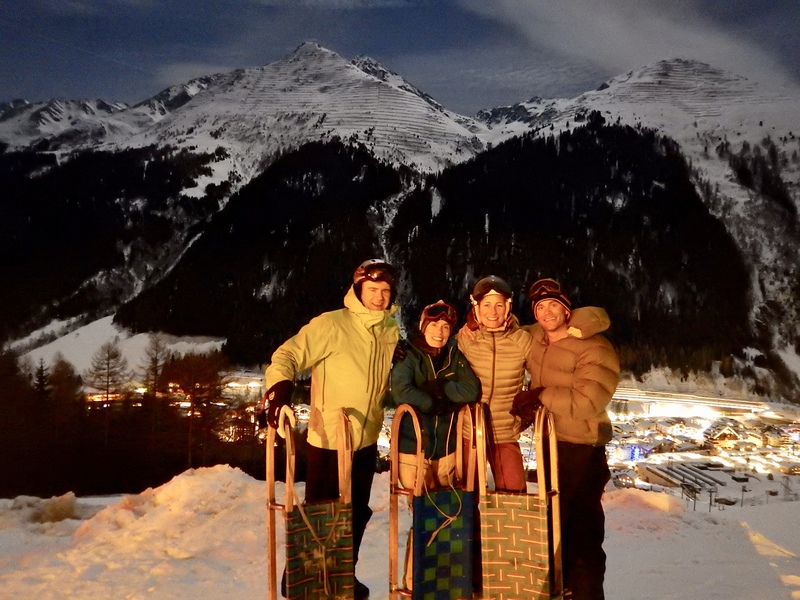 There is A LOT to be excited about in St. Anton and Chalet Rafalt is open for business. March 11-18 is a primetime week and is still available should you wish to spend a week in the incredible mountain paradise! The snow is piling up as season 2017/18 approaches on Dec 1!!! 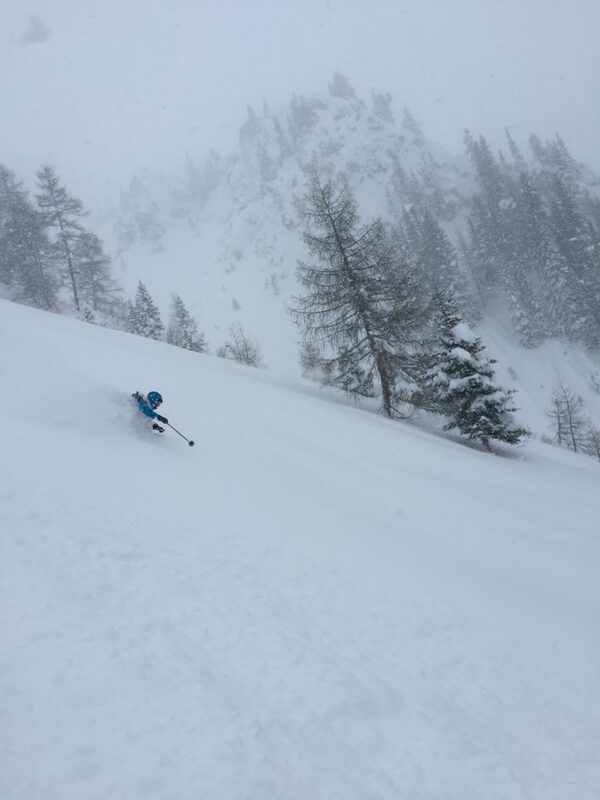 Snow has started to fall in the Arlberg and there is plenty more in the forecast! It is looking like a promising start to the winter!! We are excited to open the chalet for the upcoming season to be ready for the lift opening on December 1st. We have wide early season availability and some prime weeks left so please contact me should you wish to reserve your week of memories in Austria! Schindler below pictured on November 7th!! Going out on a high note! It is the final week of lift serviced skiing in the Arlberg and mother nature has brought us an incredible last blast of winter to celebrate the end of the season. It started snowing a few days ago and has hardly stopped. We have our final group of the winter in house and it includes two three year olds who battled out a wild blizzard atop Gampen for a 2hr ski lesson! Respect lil’ guys!! 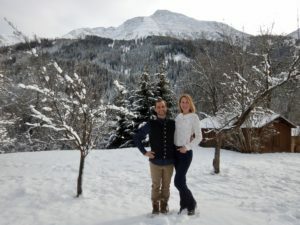 Hard to believe another winter is coming to close at Chalet Rafalt. We want to thank all the wonderful people that chose to stay here and we look forward to the possibility of hosting you again in the future. You have made our season!!! 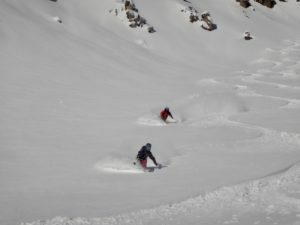 Powder skiing in late April! Praise the lord!! See you next year! 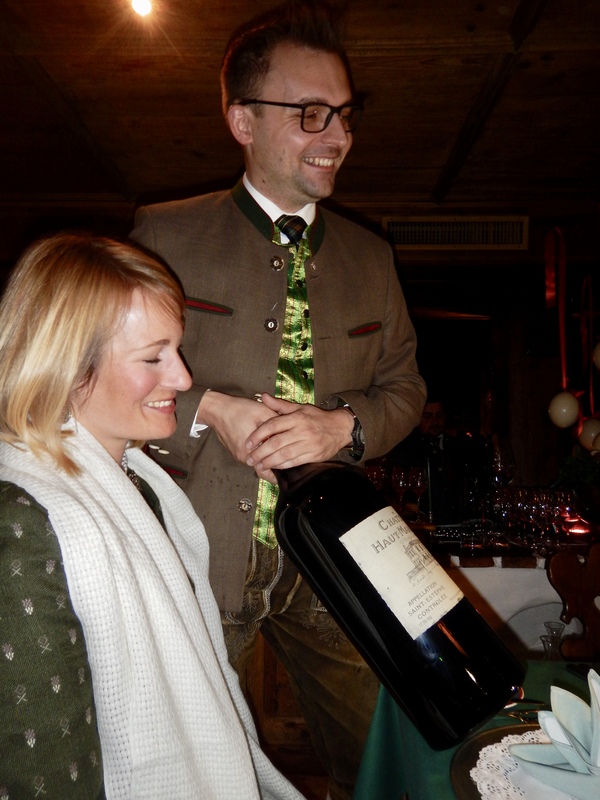 Vilen dank for your patronage this season! !